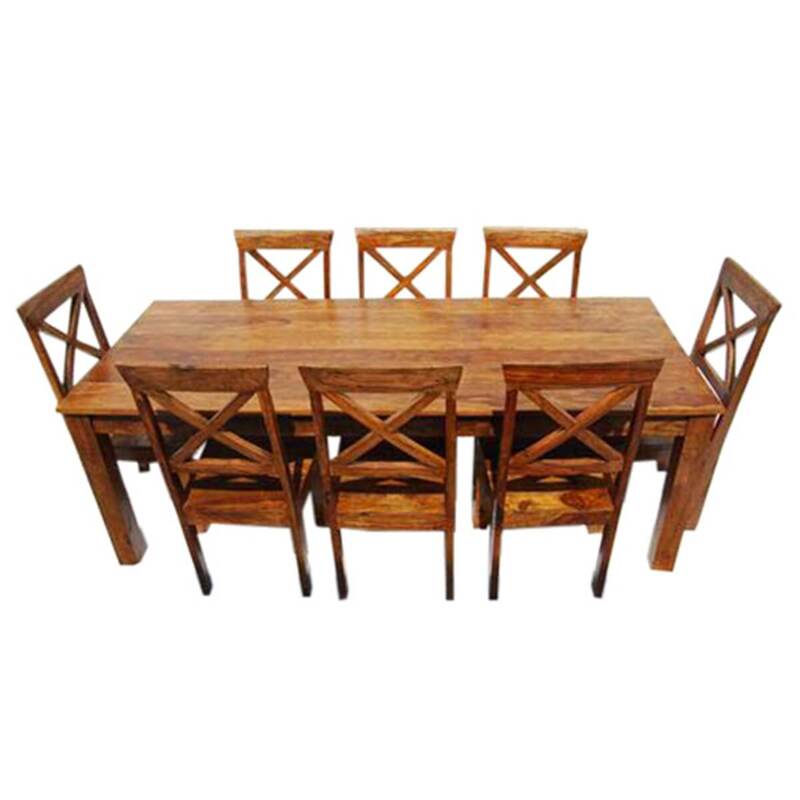 There will always be room for good food and good friends at the Oklahoma Farmhouse Dining Table and Chair Set. 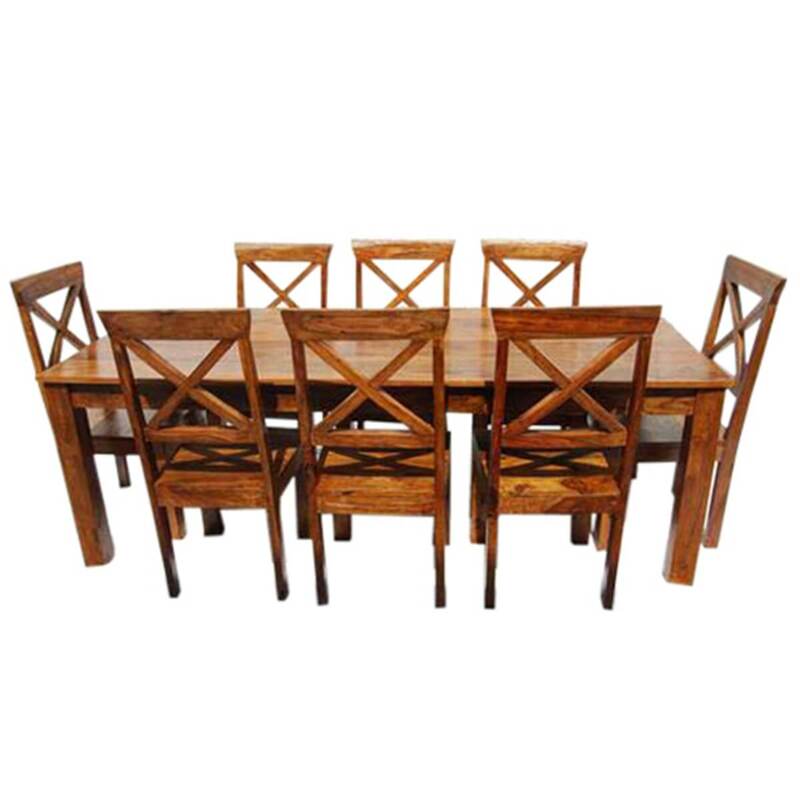 The intricate patterns of the wood grain takes center stage with the hand applied stain and wax treatment. 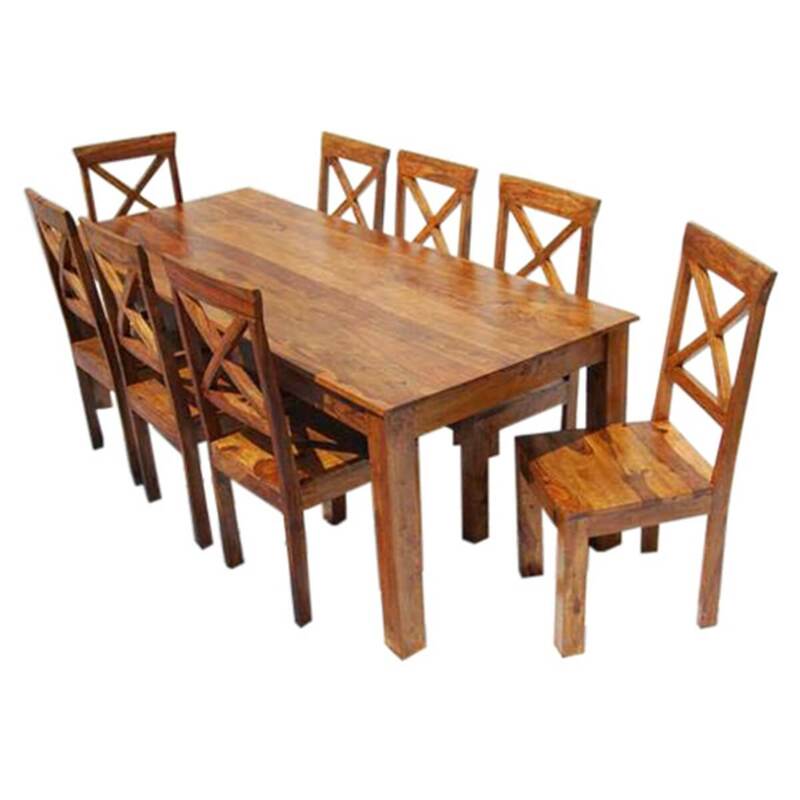 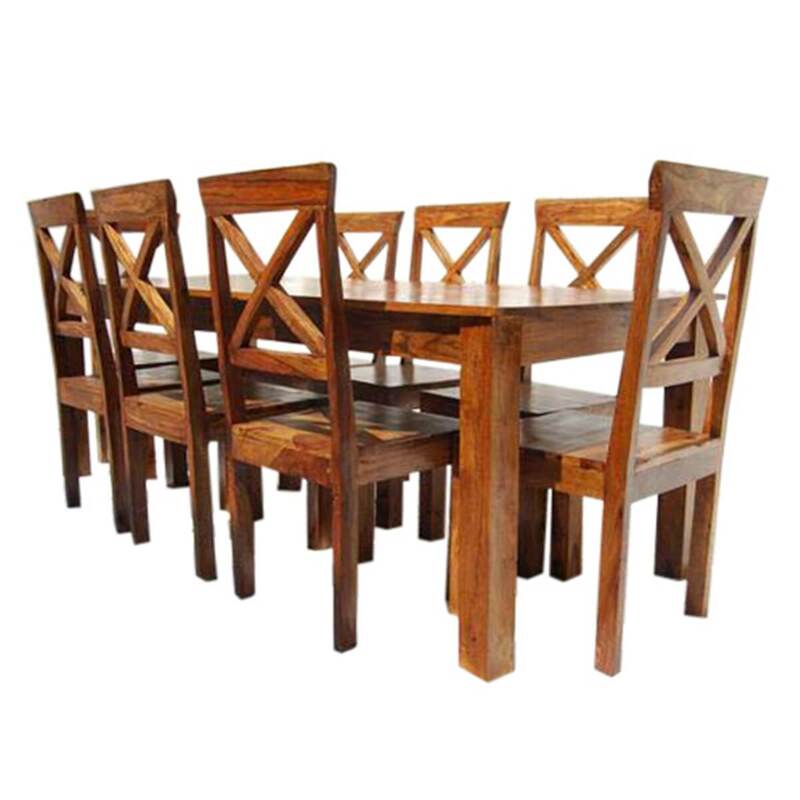 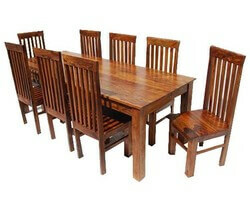 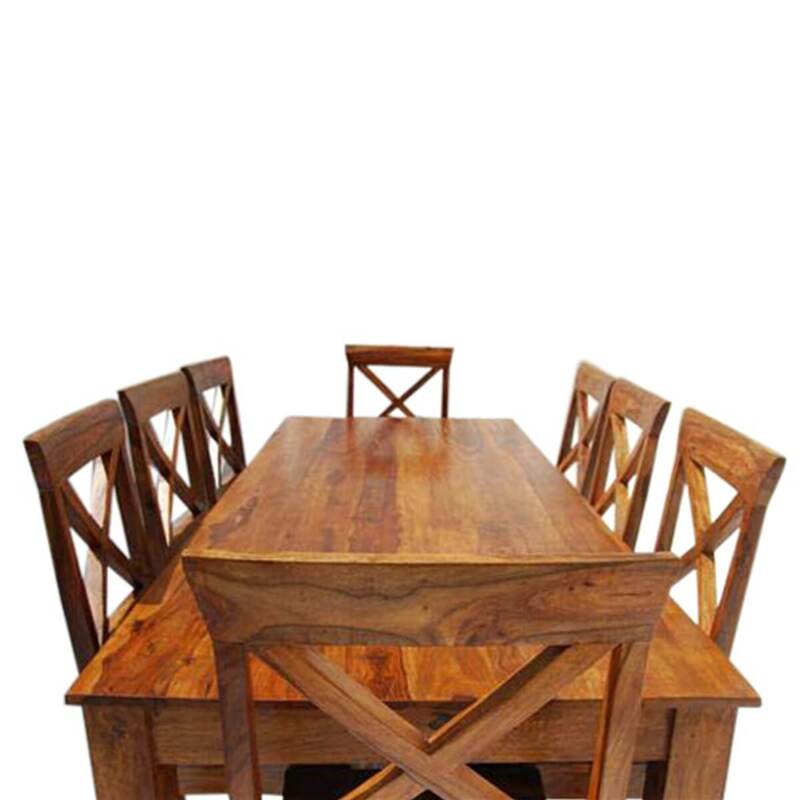 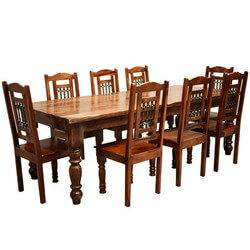 • Dining table and chairs are handmade using only solid Solid Wood . 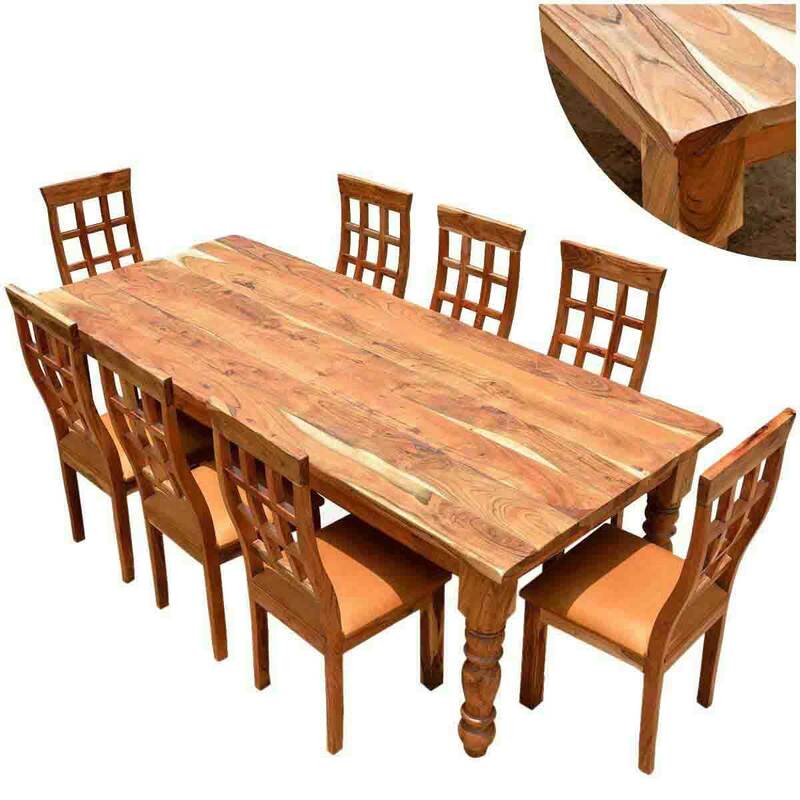 • All pieces are handmade, specially seasoned and hand finished. 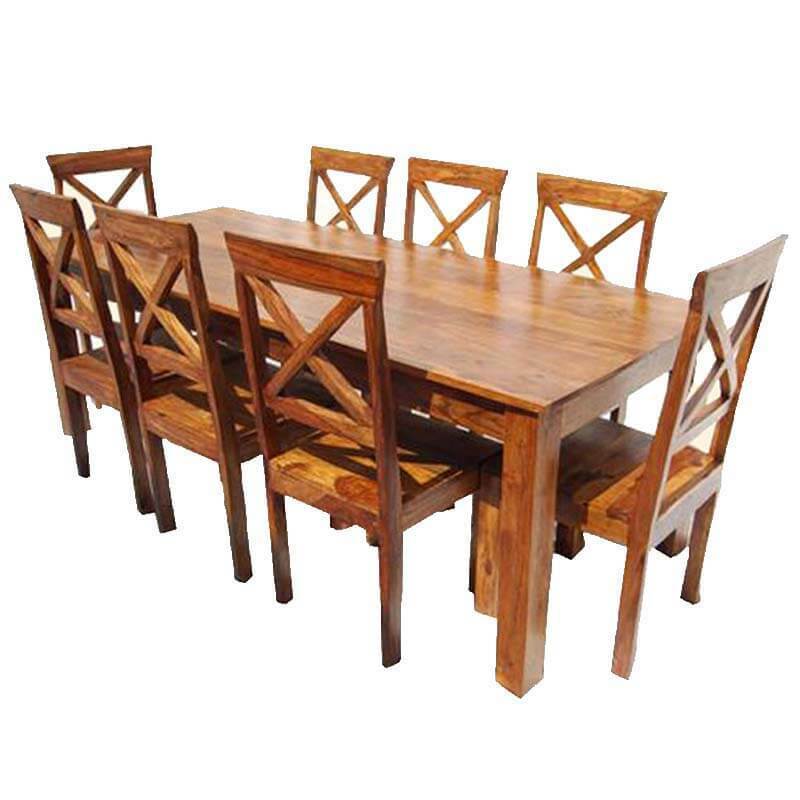 Each handcrafted furniture piece is made with a durable design and individual care and attention to insure a lasting finish.